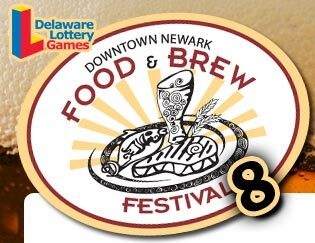 Enjoy unique beers, creative cuisine, live music, sidewalk performers and a sidewalk sale at the 8th Annual Newark Food & Brew Fest held Saturday, July 23, winner of the The Hops & Shops Sidewalk Sale begins at noon with the festival running from 2-10pm. Eighteen of Newark’s premier restaurants will create special menus to complement the specialty beers offered. The event features two dozen breweries and more than 40 varieties of beer. Special commemorative tasting mugs to the first 2,000 guests. Free root beer in commemorative cups for kids. Complimentary shuttle service. For more information, call 655-6483.